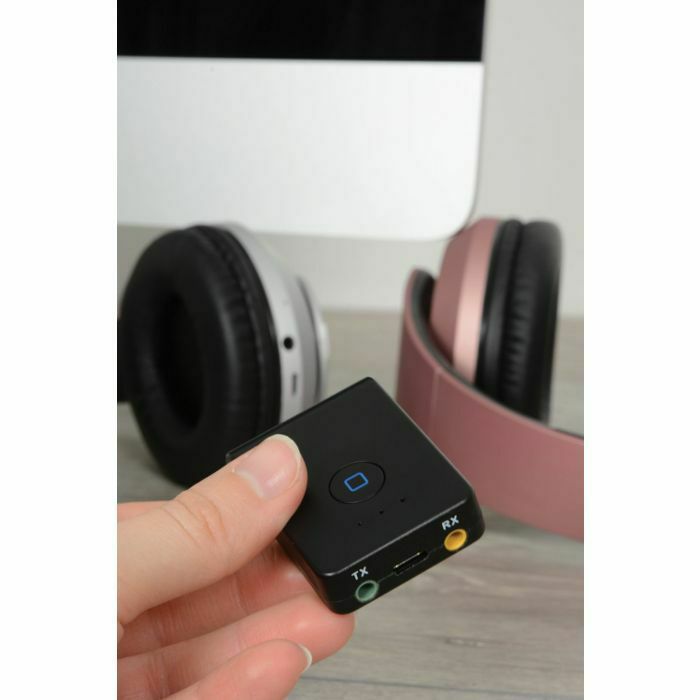 The AV Link BTTR1 Bluetooth 2 In 1 Receiver Transmitter is an amazing and compact Bluetooth device. It will open a new world of wireless audio enjoyment both at home or on the move. 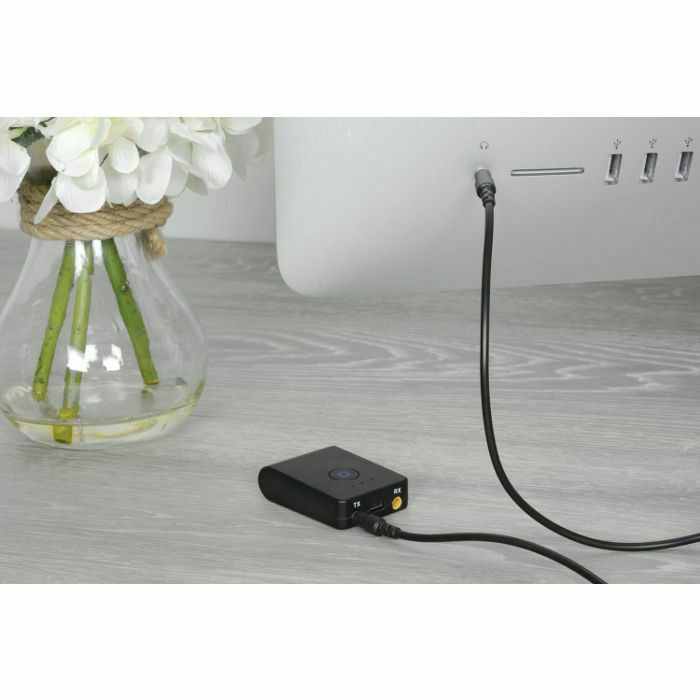 You can simply connect using the audio cable provided to your TV, projector or other audio visual device and stream wirelessly. This can be applied to Bluetooth headphones, speakers or soundbars. Alternatively connect to a set of traditional headphones. Or, an amplifier or in-car entertainment system and you can then pair with your smartphone, tablet or other Bluetooth devices. It has a Multi-point support for shared listening. Also; a 10m transmission and reception range, plus in-built rechargeable battery (providing up to 8 hours playback from a single charge). This handy little device really is your perfect Bluetooth partner! A Bluetooth® device works by using radio waves instead of wires or cables to connect with your cell phone, smartphone, audio device or computer. ‘Bluetooth’ is wireless, short-range communications technology. This standard technology is found in millions of products we use every day. This includes headsets, smartphones, laptops and portable speakers. But Bluetooth is mainly designed for communicating over short distances; less than about 10m or 30ft. Typically, you might use it to download photos from a digital camera to a PC. Or, to hook up a wireless mouse to a laptop. Also you can link a hands-free headset to your cellphone so you can talk and drive safely at the same time, and so on. Electronic gadgets that work this way have built-in radio antennas (transmitters and receivers). Because of this, they can simultaneously send and receive wireless signals to other Bluetooth gadgets. They really are an amazing invention! 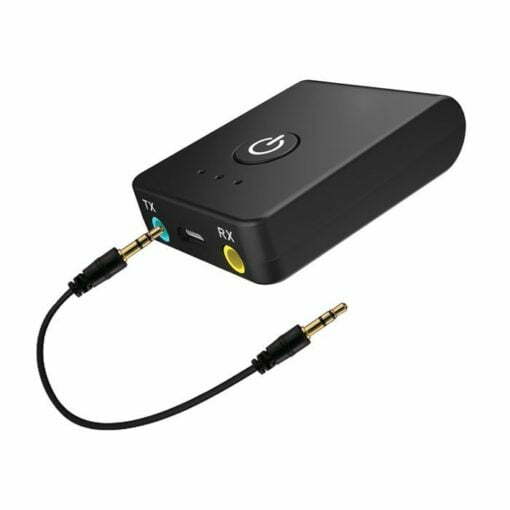 Older gadgets can be converted to work with Bluetooth using plug-in adaptors such as this Bluetooth 2 In 1 Receiver Transmitter. The power of the transmitter governs the range over which a Bluetooth device can operate. Generally, devices are said to fall into one of three classes. Class 1 is the most powerful and can operate up to 100m (330ft). Class 2 (the most common kind) operate up to 10m (33ft). And class 3 are the least powerful and don’t go much beyond 1m (3.3ft). 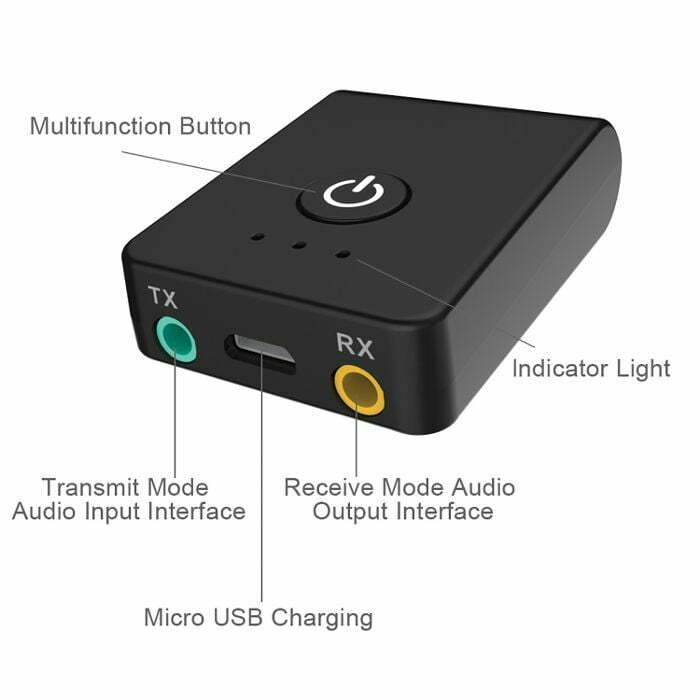 Our Bluetooth 2 In 1 Receiver Transmitter item is Class 2.